AMI provides innovative engineering and business solutions that help entrepreneurs and companies be more competitive in the marketplace. 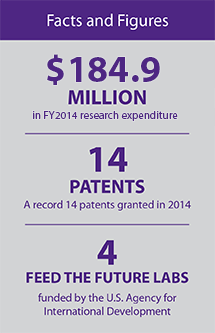 The KSU-IC works with public and private partners to license university and underused intellectual property. KSURF handles research disclosures and the patent process. K-State Olathe is uniquely positioned to help foster collaboration between education and industry. The campus leverages the its resources and location as well as the resources and expertise at Kansas State University. To explore collaboration opportunities, contact Debbie Kirchhoff, executive director of strategic initiatives, at 913-307-7386 or debbierk@k-state.edu.